Is such gratuitous mocking of religion permitted under human rights law? Do human rights protections extend to those who wish not to have deeply held beliefs ridiculed in a crass (or any other) manner? In Dr. David Keane’s article, Cartoon Violence and Freedom of Expression (subscription required), Keane outlines the history of cartoon satire, as well as the use of cartoons to promote racial, national and religious stereotypes (noting in particular anti-Irish cartoons , anti-Semitic cartoons and cartoons stereotyping African-Americans). At the same time,Keane notes that cartoonists have been severely punished for perceived slights against religious and political leaders. Human Rights Watch recognised the offence caused by the cartoons, however adopted an approach whereby freedom of expression, no matter how distasteful, should be permitted. The European Court of Human Rights in Otto-Preminger Institut held that persons have a right not be insulted for their religious beliefs, where the method of so doing is “gratuitously offensive” or does not contribute to ” public debate capable of furthering progress in human affairs”. …cartoonists must be able to work free of threat, irrespective of their viewpoints, as long as they stay within the parameters of the law. It is the law that must be changed if we are to decide that religious defamation cannot be tolerated. Ultimately, and unless that happens, restraint and consideration are required on the part of cartoonists. However, these are not traits that go easily with the profession. While freedom of expression should be limited where it incites hatred against a particular racial or religious group, this should not be confused with criticism or ridiculing of core religious beliefs or values. The legitimate limitations on freedom of expression should not be utilised to prevent actual or perceived slighting of religious beliefs. While some may disagree with my interpretation of human rights law in this controversial area, there is a very clear unconditional prohibition on the right to use violence, or the threat of violence, to assert beliefs and practices onto persons who do not share those religious views. The adoption by the UN Human Rights Council of a non-binding resolution on religious defamation is most unwelcome, and attempts to place dogmatic assertions surrounding ‘sacred persons’ above the right to criticise religion. Attempts to criminalise ‘religious defamation’ at the international level have recently failed. South Park is a show which purposefully courts controversy and seeks to gratuitously mock all religions. Throughout its 201 episodes it has (as illustrative examples) made continuous reference to Jewish stereotypes (see here, Swetswise subscription required); portrayed Jesus Christ in less than flattering situations; had a “dum…dum…dum…” tune to the background of an episode which discussed the origins of the Mormon religion; makes regular derogatory remarks towards adherents of Scientology (see here) and has shown Buddha snorting cocaine. 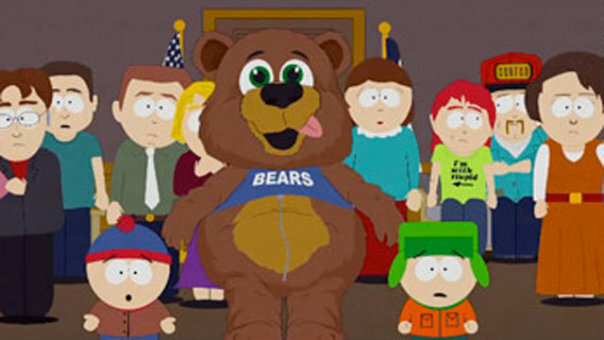 At times South Park has made some fairly harsh comments towards Muslims, (as an indicative example see here). Conversely, atheists have also been ridiculed. 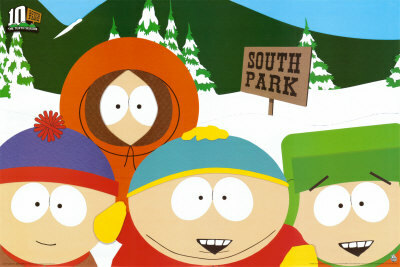 Most notably, when a number of South Park parents converted to atheism, in the episode Red Hot Catholic Love. In another episode, Richard Dawkins (pictured right) came in for ridicule due to his perceived aggressive promotion of non-belief and the episode suggested that religions were unfairly blamed for violence and war (see here and here) which would exist even if religions did not. The purpose of South Park episodes “200” and “201” were not to engage in religious hatred or hate speech towards the Islamic community. The purpose was to show the mental acrobatics which have to be gone through to justify the limitation of freedom of expression from mocking of one groups beliefs, yet allowed to freely ridicule the religious beliefs of others. In the words of the South Park creators, they are “equal opportunity offenders”. To those who are offended by shows like South Park, which does not provoke hatred on the ground of religious belief, the solution is simple, change the channel. UPDATE: Dr. David Keane has responded to this post, and the wider issues raised within it-Keane on South Park, Islam and Hate Speech: A European Perspective. *All picture credits for South Park are copyright of Comedy Central. * UN Human Rights Committee logo is copyright of the United Nations. I’m not too up on my South Park, but I presume the reference to the “Moron” religion in the last paragraph was just a fortuitous mistake. Thanks for noticing John, now corrected. I didn’t really want you to correct it. Yes, sure, but threatening to kill them is part of their right to express their ideas, right? You can say what you think, unless you offend religions. Why respect potential killers who do not have a sense of humour? It is just a cartoon, for God’s sake!